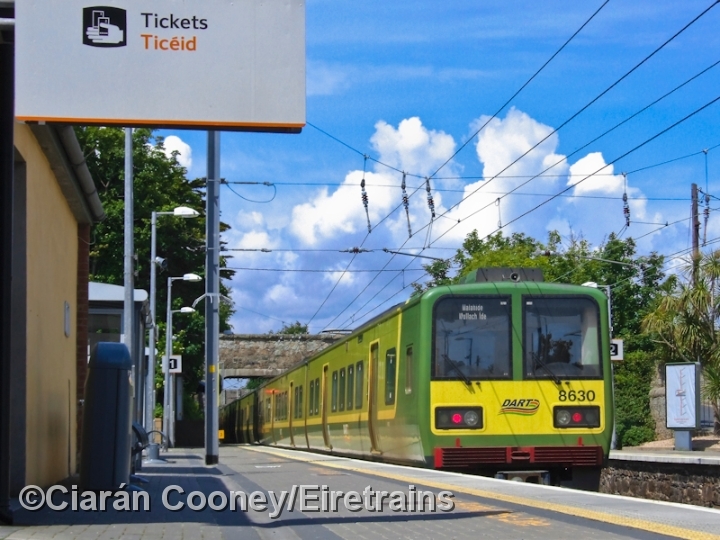 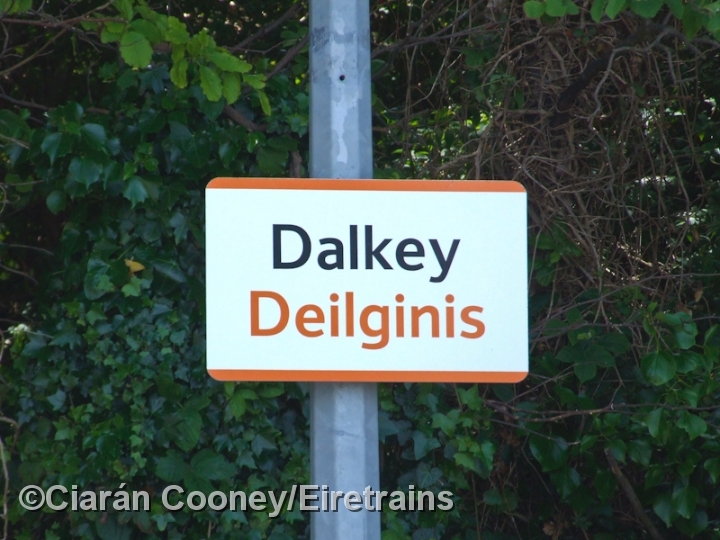 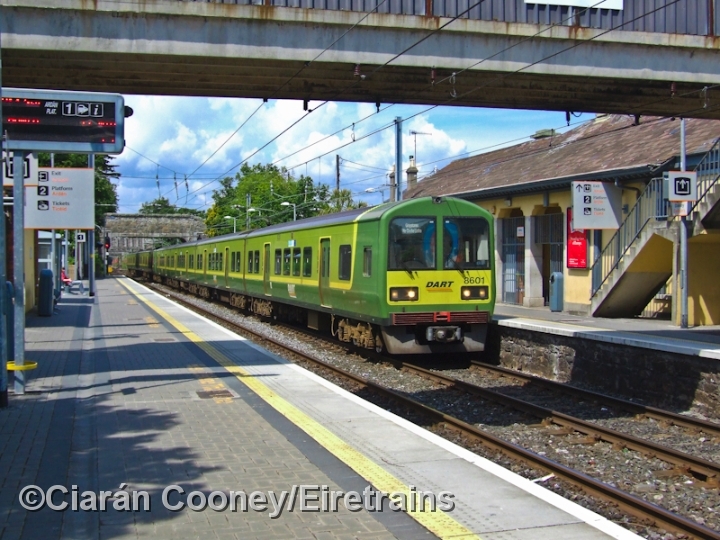 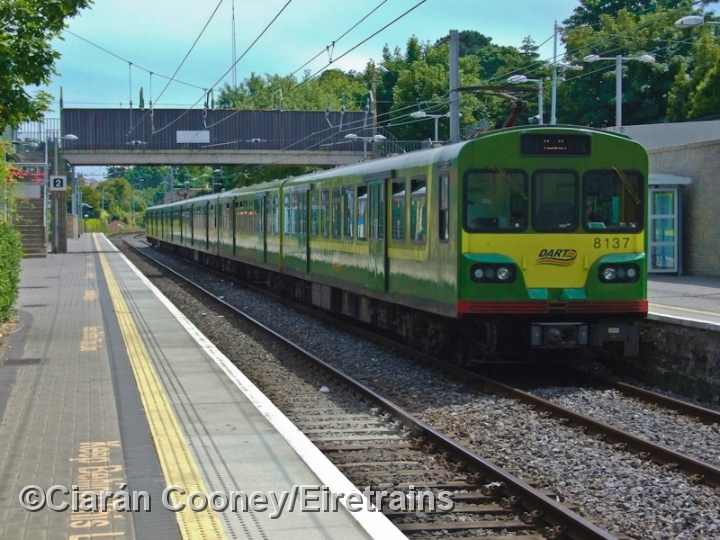 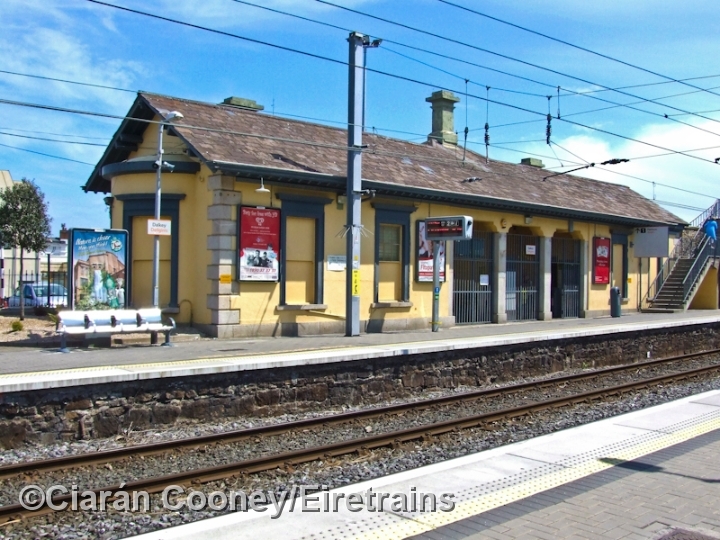 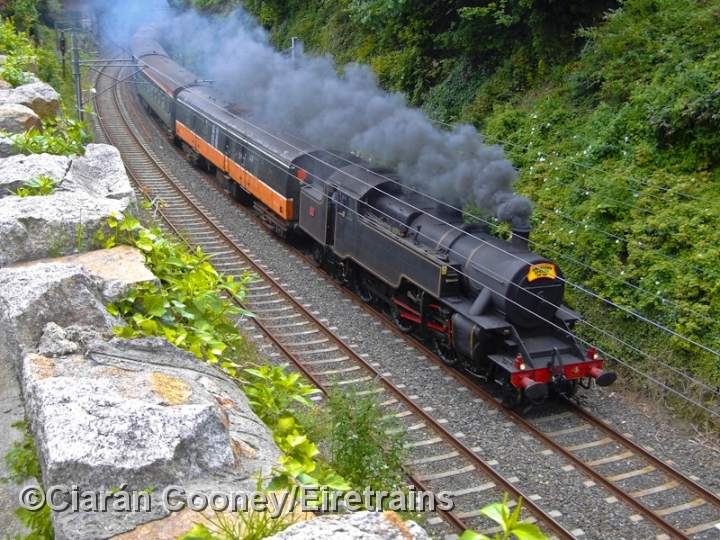 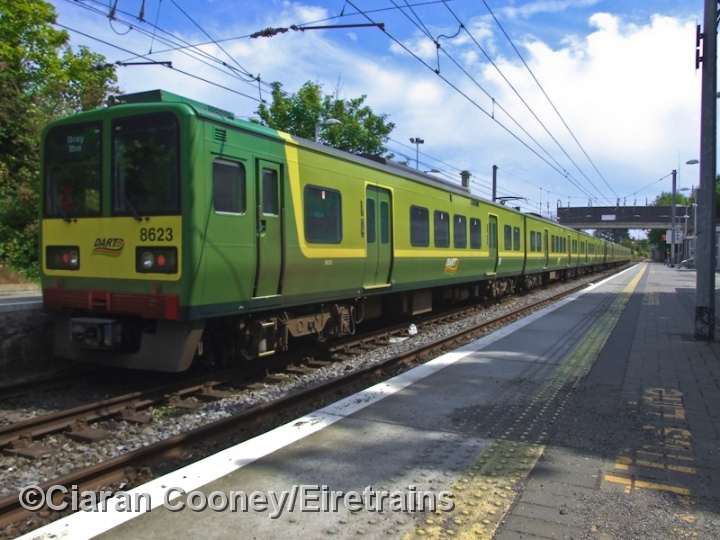 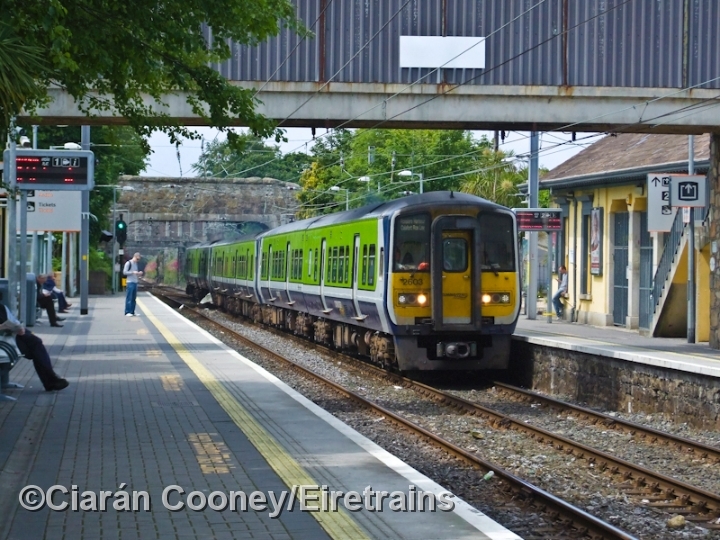 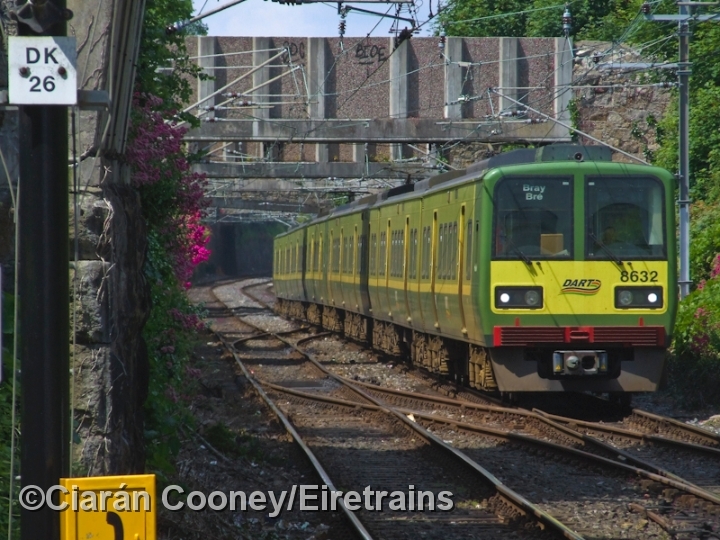 Dalkey, south Dublin, is very much a primary location for Irish railway history. 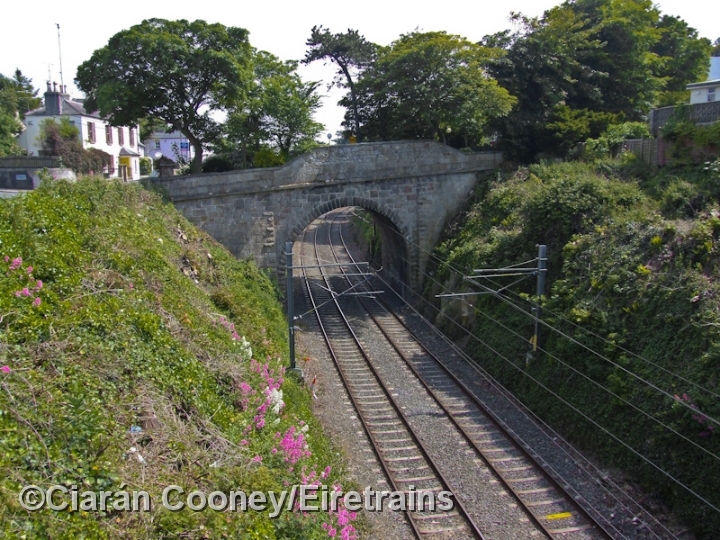 The first type of railway to operate in the Dalkey area was a horse drawn tramway which carried stone from Dalkey Quarry to Dun Laoghaire to aid with the construction of the harbour there. 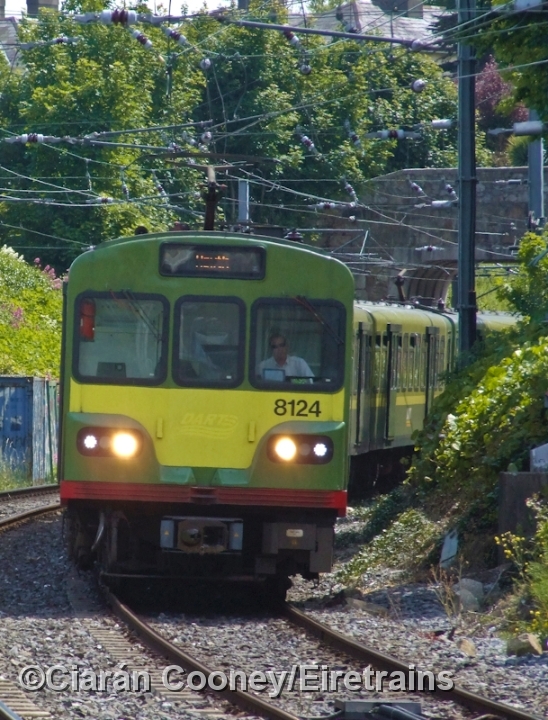 This began operation in 1817, but in 1844 the majority of the quarry tramway was converted to the revolutionary Atmospheric system which survived until 1854, when the Dublin & Wicklow Railway converted it to conventional railway use in 1854. 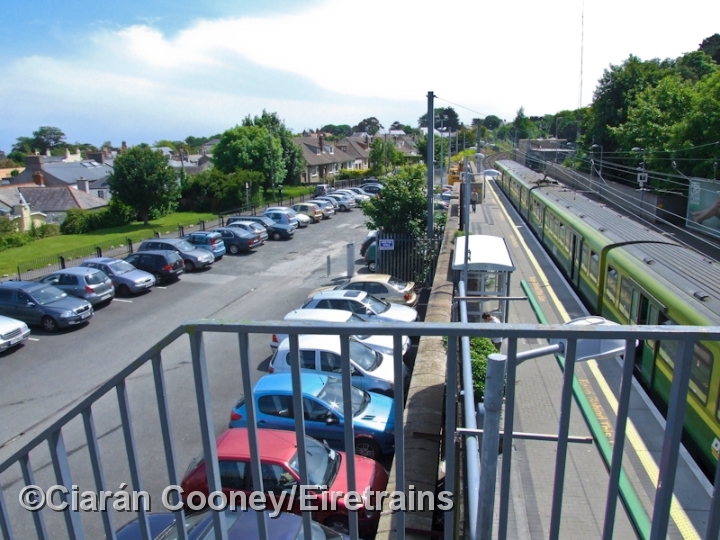 This allowed the D&KR to build the present station in Dalkey featured here. 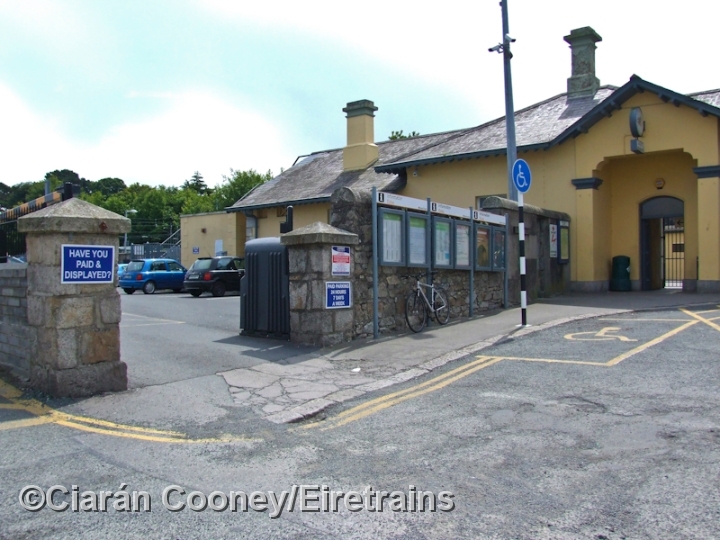 The station has up & down platforms, with the main station building, a single storey granite and stone built structure, on the down side. 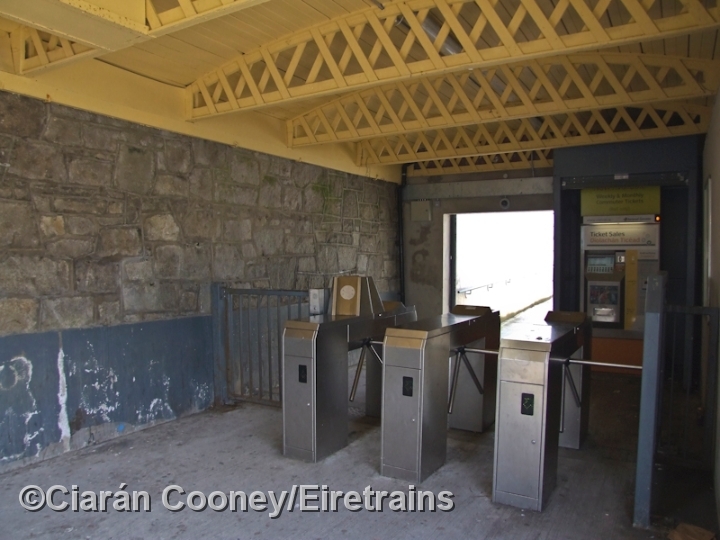 On the up side is a smaller station building which now only houses ticket barriers. 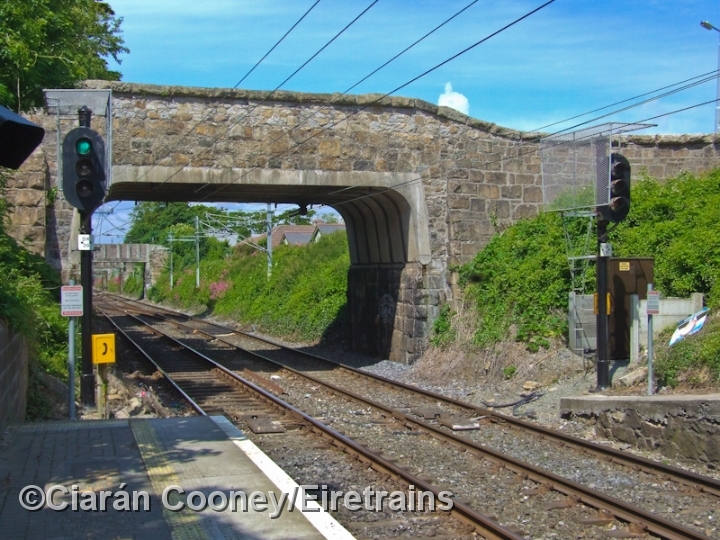 The original footbridge at Dalkey once featured a centre spanned 1871 built signal cabin, but this cabin was replaced by a conventional one located at the end of the down platform in 1896, this itself was partially rebuilt by the DSER in 1922, and it was finally closed and demolished in 1983 with the advent of the DART services in 1984. 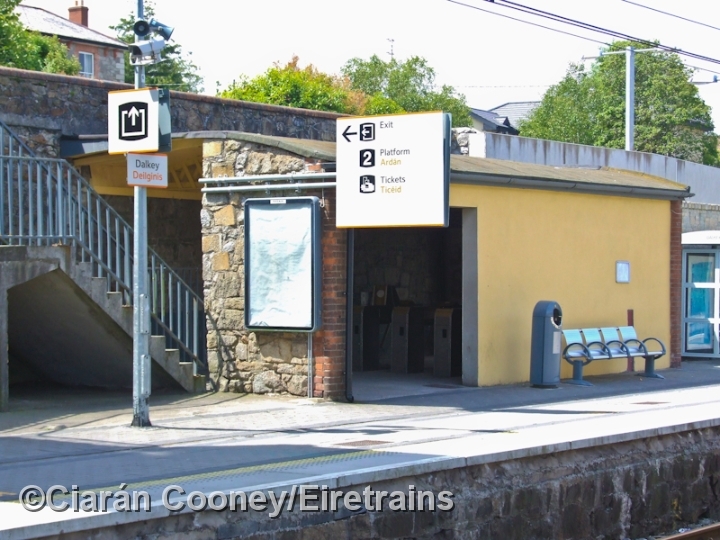 The original footbridge was replaced by a wider concrete type in 1983 and the waiting room on the down side was demolished. 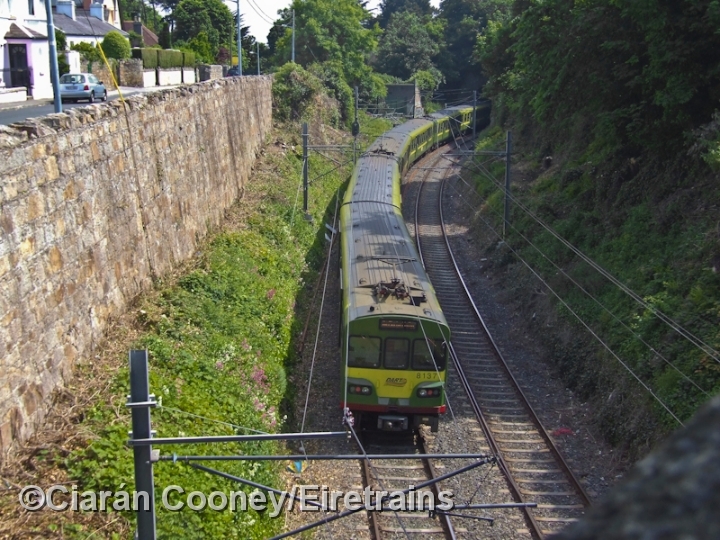 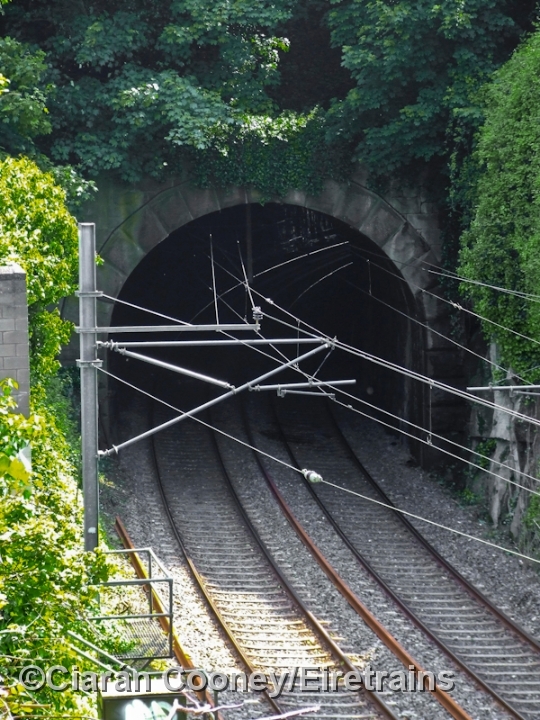 Just south of the station the line enters a deep cutting prior to entering the 160 yard long Dalkey Tunnel.